Christmas cards depicting the night Christ was born typically include Mary, Joseph, the baby Jesus, shepherds, a smattering of farm animals, and the Magi, who we refer to as the “three wise men.” Those travelers from the east, however, didn’t actually come until later — probably not until Jesus was a toddler. (Matthew 2:11 tells us they visited the baby in a home, not a stable.) They followed the star of Bethlehem and traveled about nine hundred miles, most likely from Persia, modern day Iran. Why? We can’t give Christ gold, frankincense, and myrrh the way the Magi did, but we can give Him the greatest gift the wise men offered: the gift of their worship. Whether we kneel with heads bowed low or we stand with our arms raised high, we declare that He alone is worthy of praise. Worship is not only a precious gift to God; it also changes us. 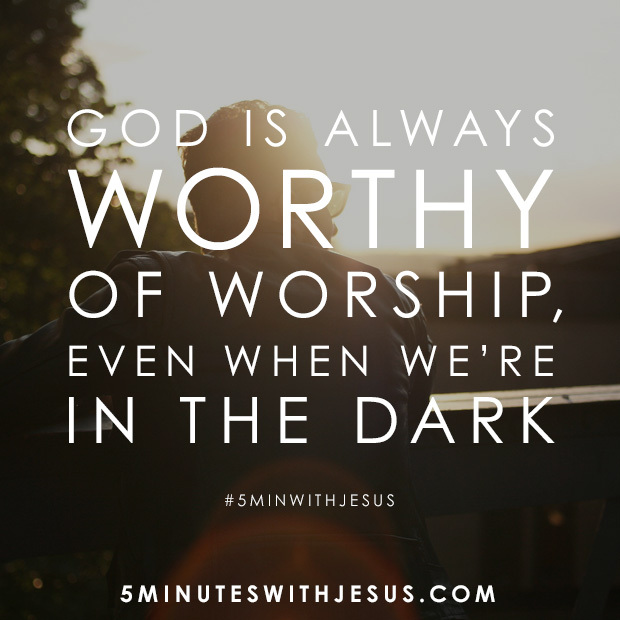 Worship puts us in a right position with Christ and adjusts our perspective. It fills our hearts with love for Him and encourages our faith like nothing else can. No wonder the wise men made such an effort to be where Jesus was. What an honor it is to worship the King, and what a joy it is to love Him! Sheila Walsh is a powerful Bible teacher and best-selling author from Scotland with over 4 million books sold. A featured speaker with Women of Faith® conferences, she has reached more than 3.5 million women by combining honesty, vulnerability, and humor with God's Word. Currently completing her Masters in Theology, Sheila lives in Frisco, Texas with her husband, Barry, her son, Christian, and her two little dogs, Belle and Tink.